5 Tips to Designing a Request for Proposal - ONRAD, Inc. Creating a request for proposal (RFP) is a critical stage in customizing your radiology services. It puts the medical facility in the driver’s seat. Every service provider is distinctive. At the same time, not all radiology companies have the same capacity. The radiology RFP is a meeting of the minds. It puts everything on the table so both parties can work together to build a system the gives quality care to patients.  With ONRAD, radiology is a partnership. A request for proposal is a welcome step in creating a lasting relationship. The hardest part of designing a radiology RFP is figuring out the necessities. These are the absolute must-haves for the practice. Consider what on-site service means to patients. Think about where teleradiology solutions might fit into the plan and save costs. The answers will depend on the size of the practice and patient needs. Once the master list is complete, refine it to add details. Write down specifications for turnaround times, radiologist subspecialties and quality assurance controls. The more details addressed, the more comprehensive the information on the proposals. It might take some homework. The designing team should dig through the history of the practice to get statistics to back up the conclusions. For example, calculate the number of emerging reads ordered annually. How many reads are final? The introduction section offers the potential radiology service a chance to learn about the practice requesting the proposal. It should include a summary overview of what services the clinic is looking to obtain. For example, “The Overside Clinic requests proposals for teleradiology services able to provide preliminary reports on emerging cases with a subspecialty in pediatrics.” Include in the introduction a deadline for responses and a cut off time for bids. This eliminates any confusion on the proposal window of opportunity. This section should state the absolutes. Once the radiology company wins the bid, there may be changes to add other benefits, but this is about the necessities to get the contract. Add a brief section explaining the selection criteria. If the clinic requires both on-site and teleradiology solutions, that would be specific criteria for selection. A radiology firm that only offers on-site service need not offer a proposal. One section of the RFP should give a timeline for the selection process. Reiterate the deadline date and bid closing time, as well. Add information about the selection process. Is it being done by committee, for instance. Offer a reasonable time frame for making the final choice. Include information on how to submit a proposal. Should the bidding company send it by mail, fax or as an email attachment? Once the document is complete, all that is left to do is send it out to prospective radiology firms. If producing many radiology RFP forms, consider numbering them and keeping a list as a cross reference. This will help track the bids as they come back. The radiology RFP gives firms the opportunity to improve their service by customizing solutions. Click here to check out ONRAD’s FREE request for proposal template.